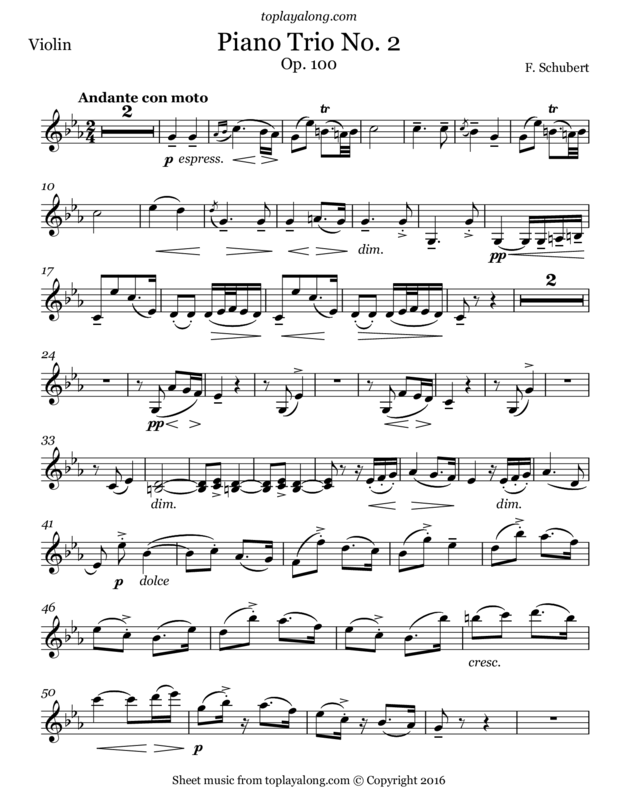 Second movement (Andante con moto) of Trio No. 2 in E-flat major for piano, violin, and violoncello, D. 929. This piece was one of the last compositions completed by Franz Schubert. It was published by Probst as opus 100 in late 1828, shortly before the composer's death.